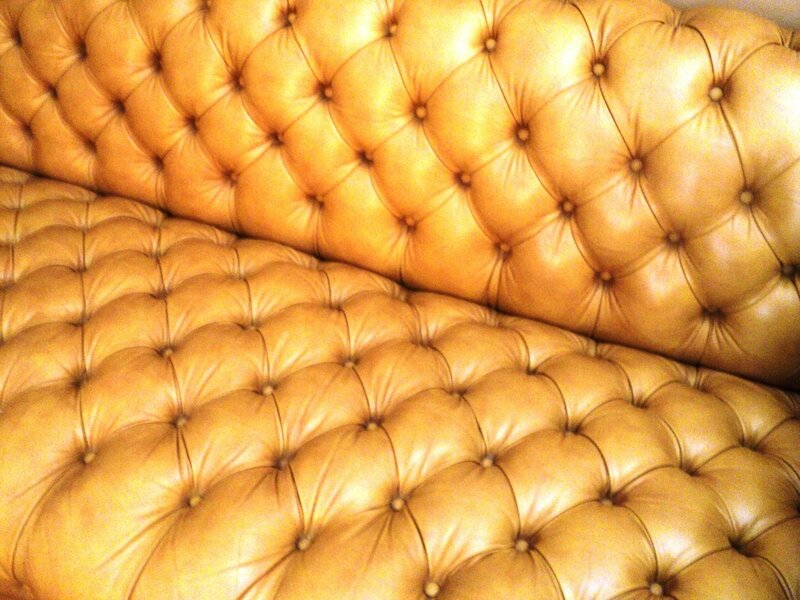 Incredible Tan Leather Chesterfield Sofa. 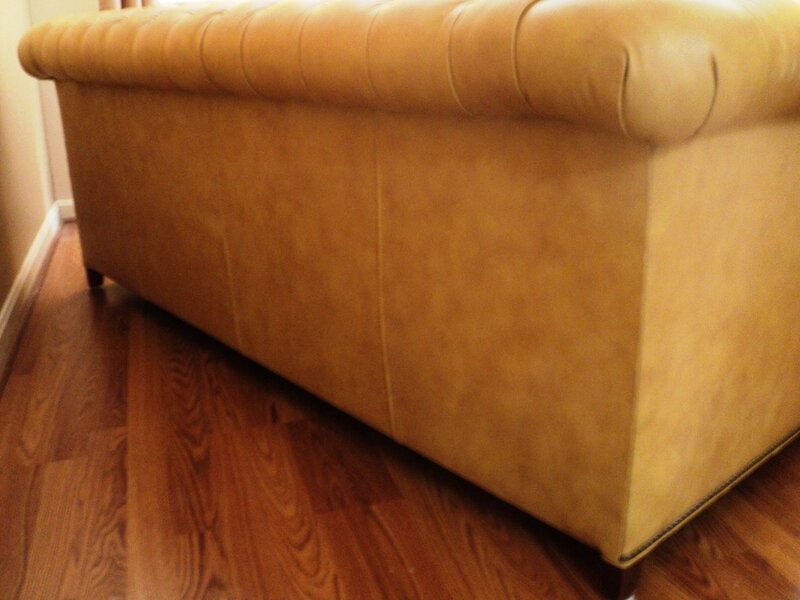 Vintage 1980s-USA/Leathercraft (labeled). $4,800. 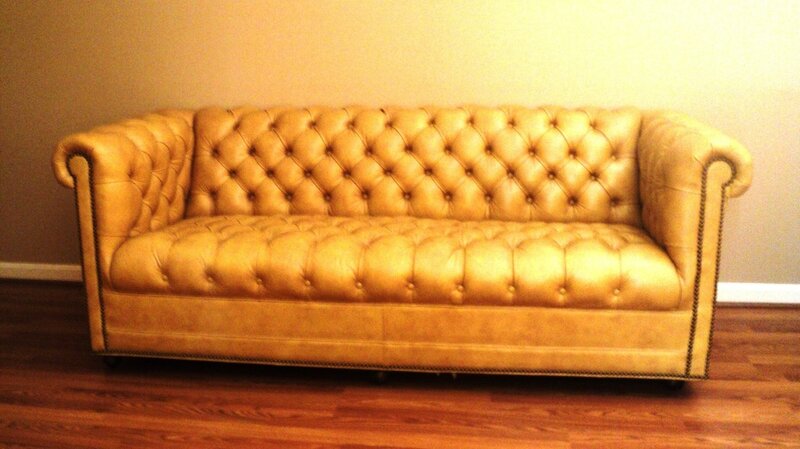 Genuine Tufted Leather Structure. 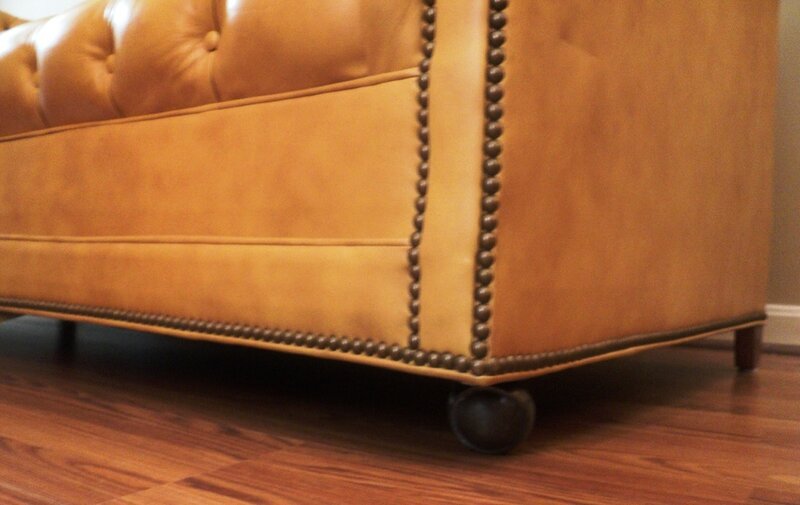 Nailhead Trim. Metal Front Wheels. Wooden Back Legs.